Lights, Camera, Action! Step inside your favorite Disney Movies when you stay at Disney’s All-Star Movies Resort. Welcome to this month’s Blogorail Orange Loop. 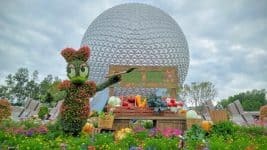 Today we are sharing our reviews of the value resorts at Walt Disney World. 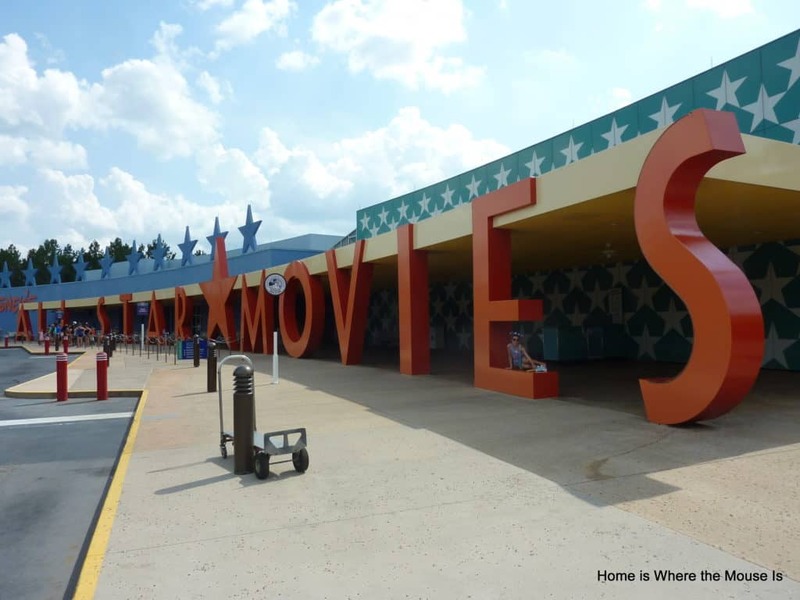 If you’re looking for an affordable and fun place to stay on your next Walt Disney World vacation, book a room (or two) at Disney’s All-Star Movies Resort. Don’t let the “Value” label fool you. 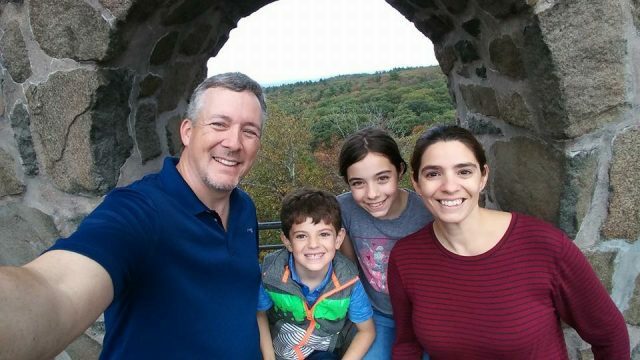 On our most recent visit, Bella and I discovered that there is a lot to love about staying at here! 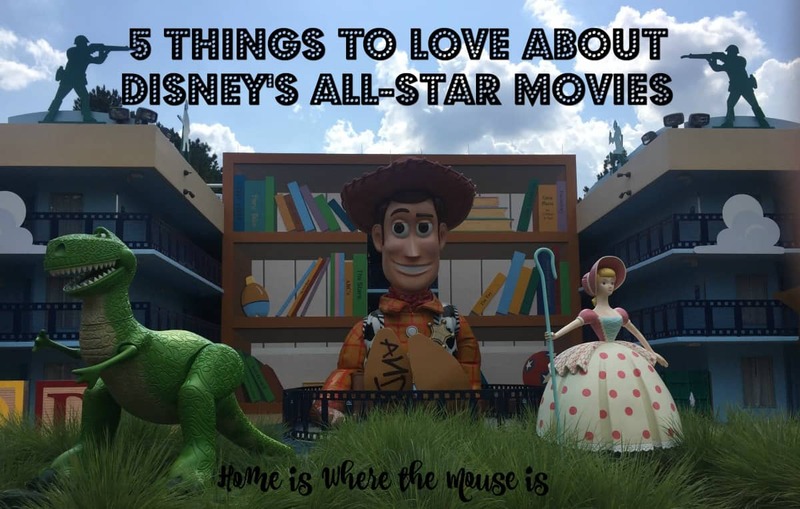 Here are the top 5 things we love about Disney’s All-Star Movies Resort. For trip it made the most sense, budget wise, to stay value. We only had 3 days and knew we were going to be maximizing our time in the parks. 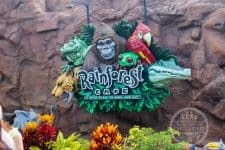 This decision allowed us to splurge on things like a dessert party during our stay. Of the three All-Star properties, Movies falls right in the middle. A night’s stay in a standard room (depending on the season), will cost you only around $100 per night. Packages that include tickets may be as little as $1000 for a week. In addition, Disney may offer room only discounts. 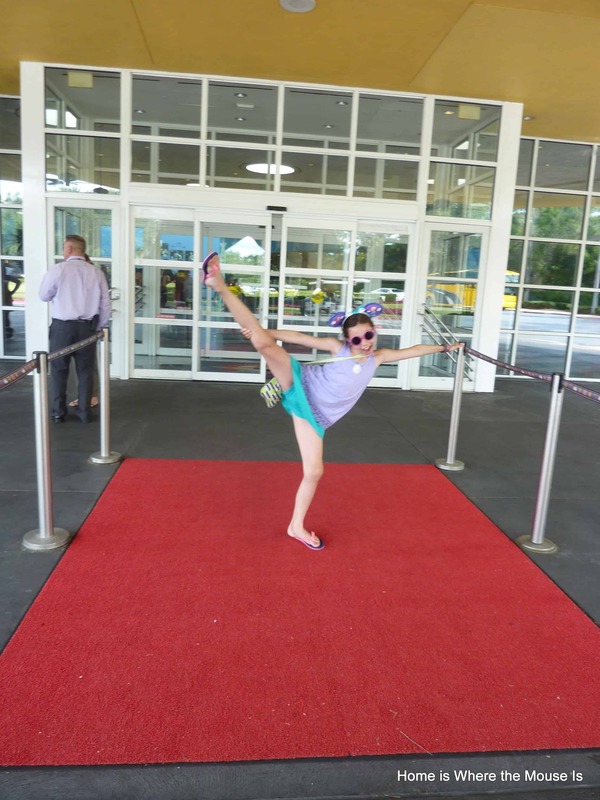 We took advantage of the summer discount and ended up saving even more on our All-Star Movie’s stay. Unfortunately, All Star Movies is not eligible for free dining. 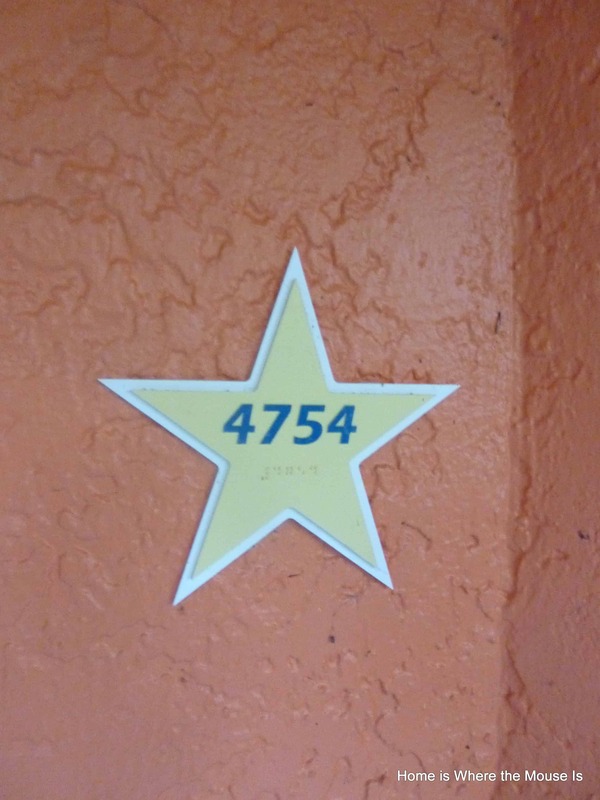 Even though there were only 3 of us on our last trip, I know my family of 4 could have fit comfortably in an All-Star Movies room. In fact, 4 Guests plus 1 child in a crib are easily accommodated in both the Preferred and Standard type rooms. Our room included 2 double beds, vanity area, bathroom with tub and a small closet area. We also had a dresser, TV and mini fridge. Being a DVC member, I’m used to those accommodations and was fearful that 2 adults and 1 child would be tripping over each other the entire time. It was surprising how much room we actually had. From the moment you walk down the red carpet and through the entrance, you are immersed in Disney movie magic. The theme carried throughout the resort and seen in even the smallest details. Larger than life statues of your favorite Disney movie characters adorn the 5 differently themed sections (101 Dalmatians, Toy Story, Fantasia, The Mighty Ducks and The Love Bug). Bella and my favorite part was walking through the different sections taking pictures of the different characters. While our room was in 101 Dalmatians, the Toy Story section was our favorite. It made you feel as if you were a toy inside of Andy’s room. It included giant Woody and Buzz statues. 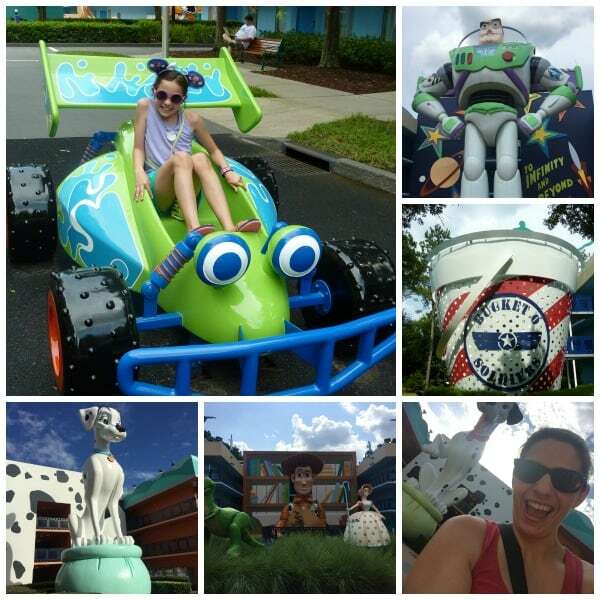 She even got to “ride” in RC from Toy Story. Kids especially will love exploring this aspect of the resort. When I asked Bella what she loved about the All-Star Movies, the first thing she said was the pool. 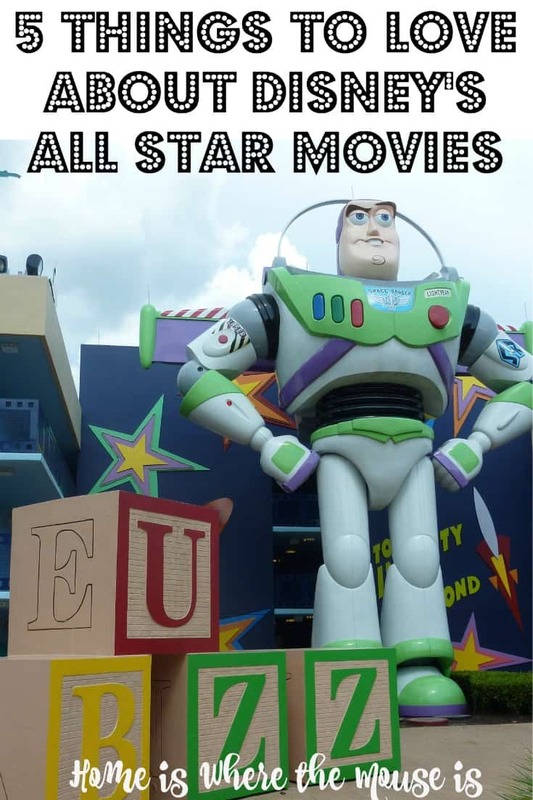 All-Star Movies is home to not one, but 2 pools. 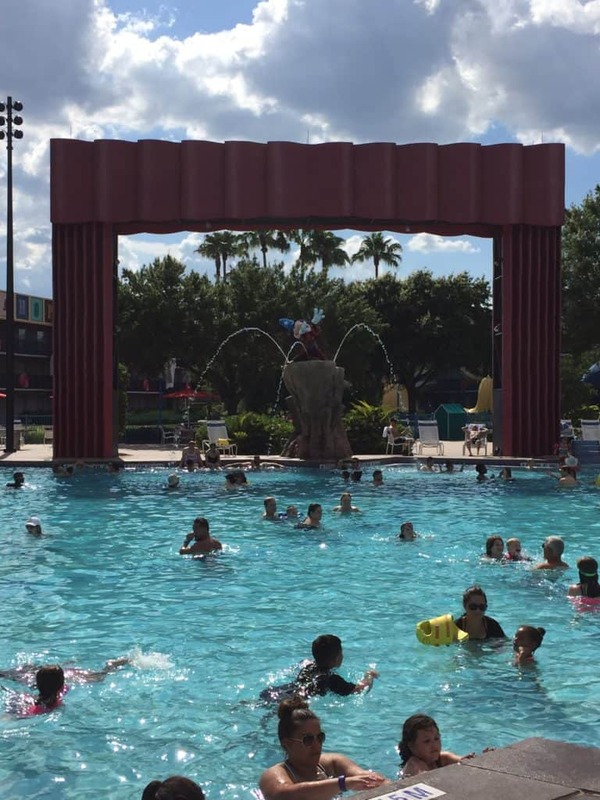 The Fantasia pool, the main pool, features a large Sorcerer Mickey squirting cold water onto pool goers. It is close to the main building, Cinema Hall and the World Premiere Food Court. Close by is a kids splash area as well. The second pool is located in the Mighty Ducks section. The Duck Pond pool is a quiet pool shaped like a hockey rink complete with goals and hockey sticks. The only negative is that neither pool includes a water slide. 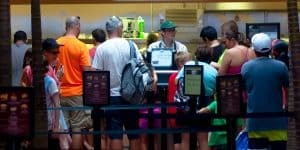 The one thing I love about all value resorts is their food courts. No matter what you’re craving, there’s a stand for that. The World Premiere Food Court at the All-Star Movies does not disappoint. 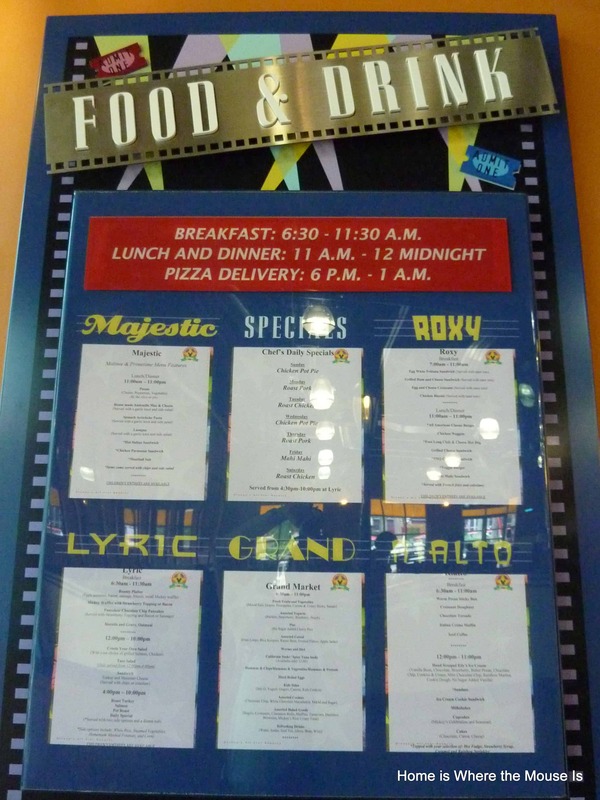 Each stand, named after famous movie theaters, serve both matinee (breakfast and lunch) and prime time (dinner) offerings. You can find everything from pizza to pasta to salad to hot dogs that are actually a foot long. 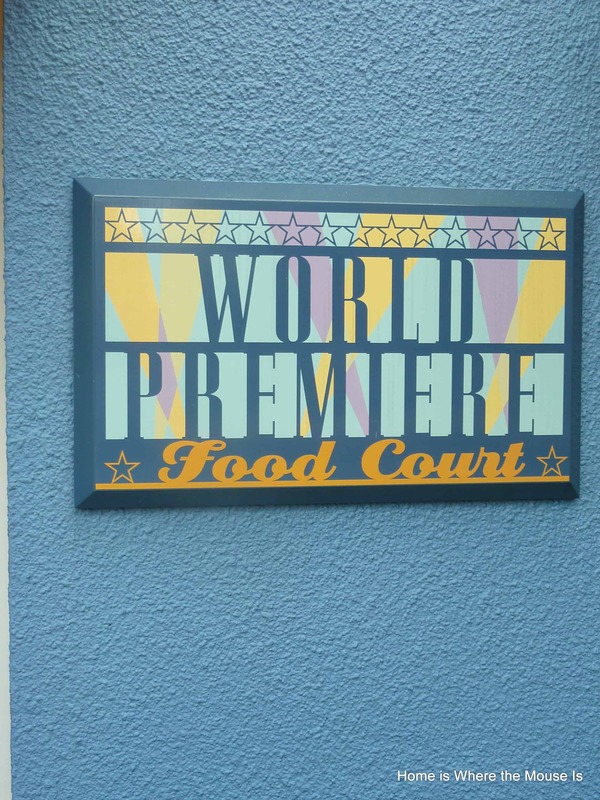 The food court also includes a coffee and ice cream stand (Rialto) along with a grab and go section (Grand). Like I said, no matter what you’re in the mood for, it’s there. Just because something is labeled value, it doesn’t mean you’re getting a “value” experience. 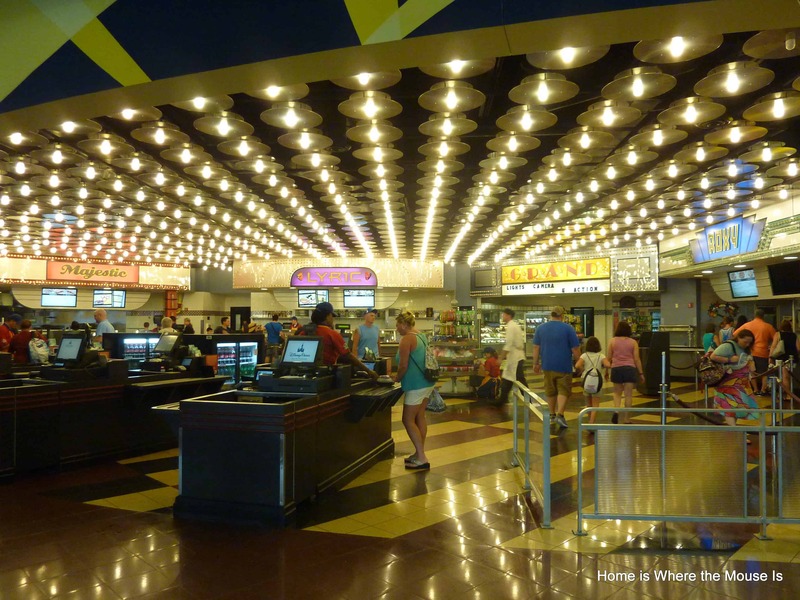 As you can see, a stay at the All-Star Movies includes a ton of amenities and loads of opportunities for family fun. 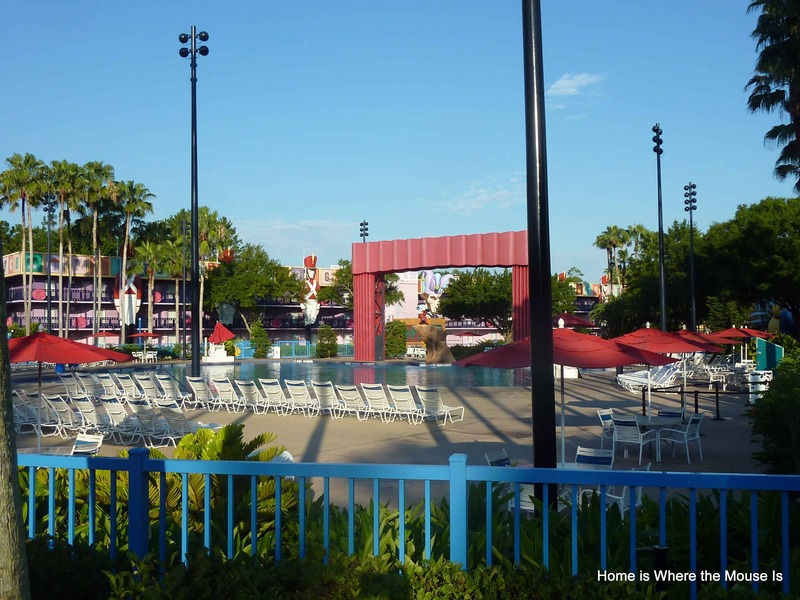 I love to hear that you’re DVC but still enjoyed the value resort! I’ve had so many people say to me “oh once you go deluxe you can never go back to values.” But I’ve stayed deluxe, moderate, and value and I love them all for different reasons! I admit it was hard at first. I joked about having to check in incognito. But it really was a nice place to stay and perfect for the short trip we were on. I love the value resorts and stayed exclusively at them for many years! Now, however, my boys are just too big and we don’t fit in those double beds. That’s my only complaint though! LOVE THE VALUES!!! This is by far our favorite resort! It is the first one we ever stayed at and we got the Toy Story building right behind Buzz Lightyear! 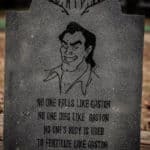 The theming is so good as well. Thanks for helping to bring back the memories! Great photos!! They really do make me want to book a room for the next trip with the boys. I can’t imagine the excitement of seeing a super sized Buzz Lightyear.